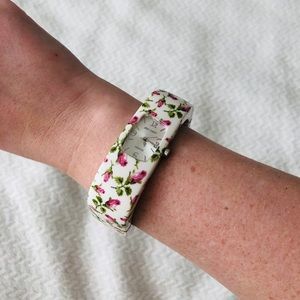 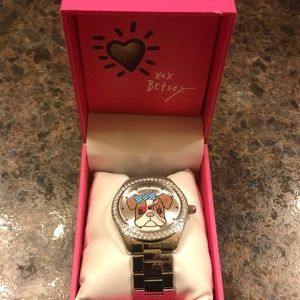 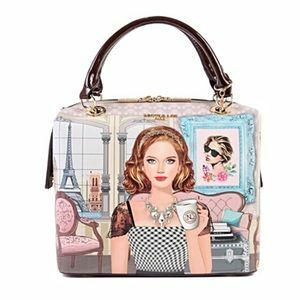 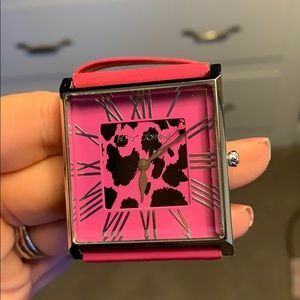 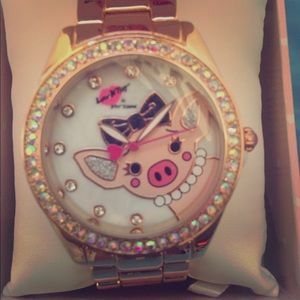 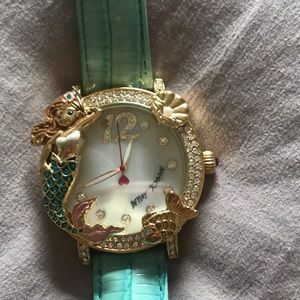 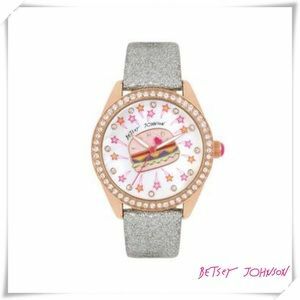 Betsey Johnson Dog Watch! 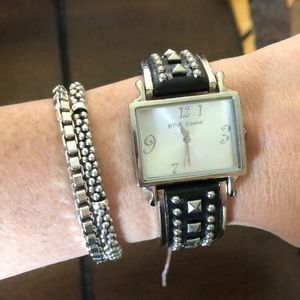 Gunmetal Watch! 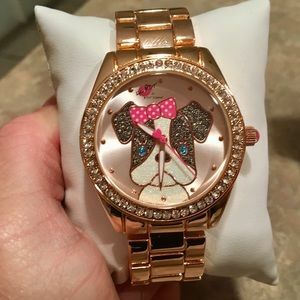 Betsey Johnson Dog Watch! 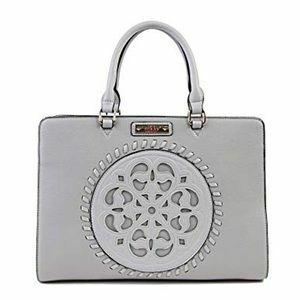 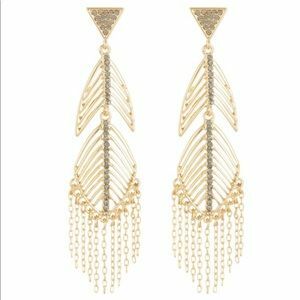 Silver tone! 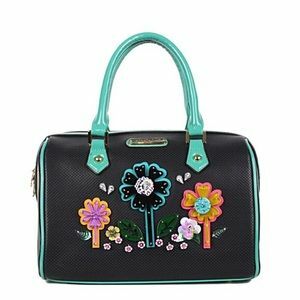 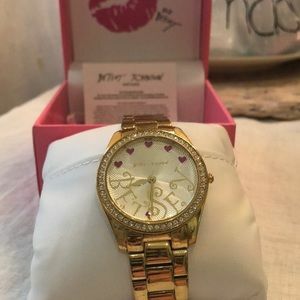 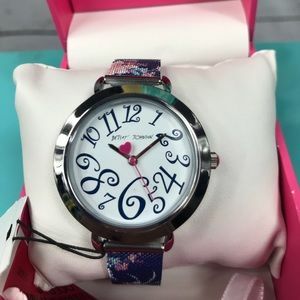 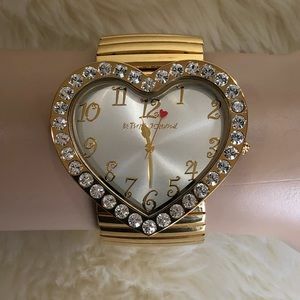 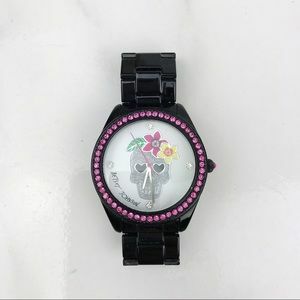 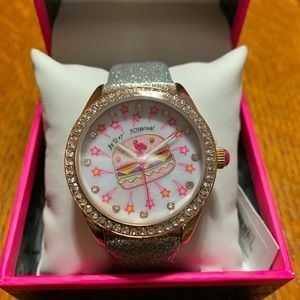 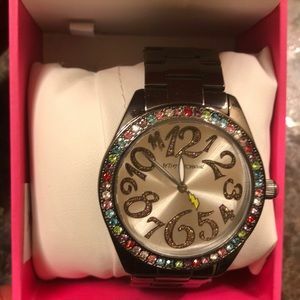 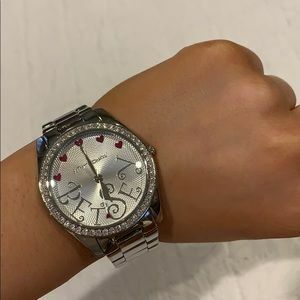 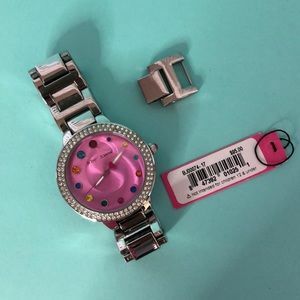 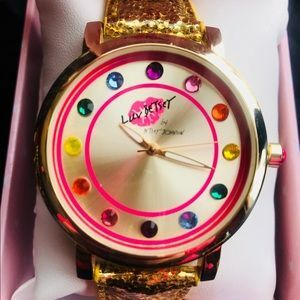 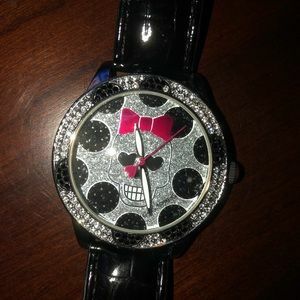 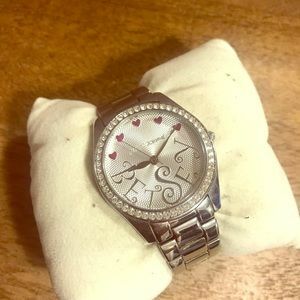 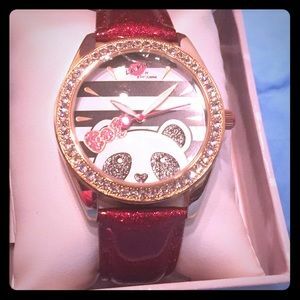 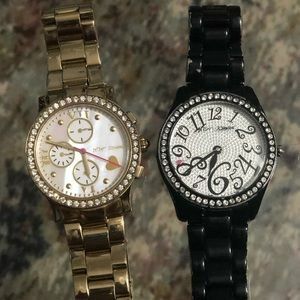 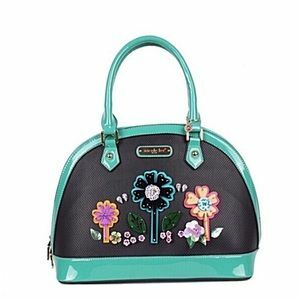 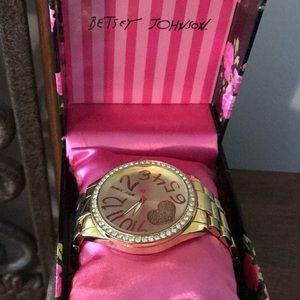 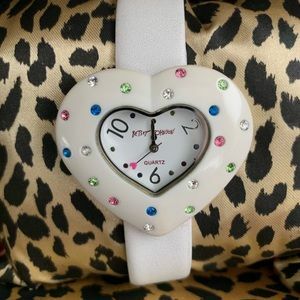 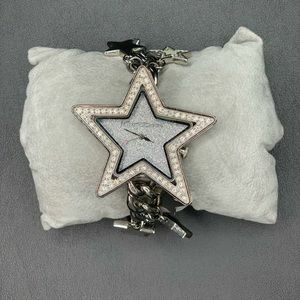 Betsey Johnson Black Gem Stone Watch! 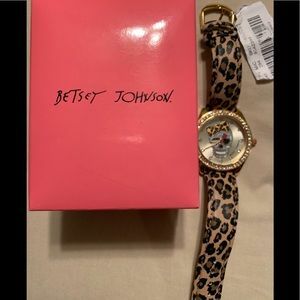 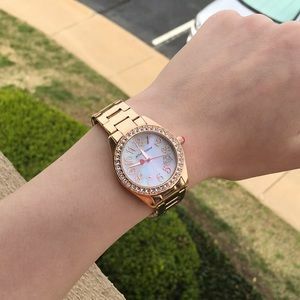 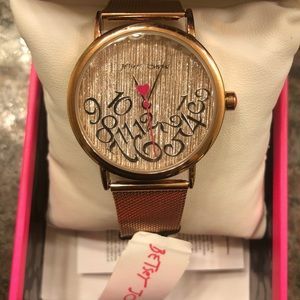 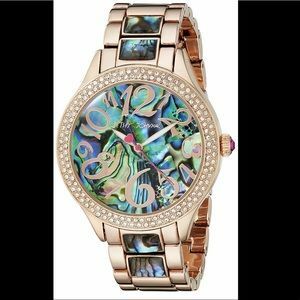 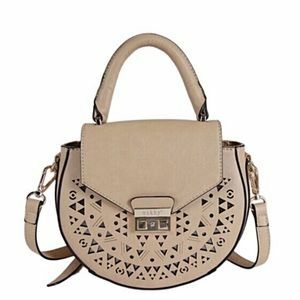 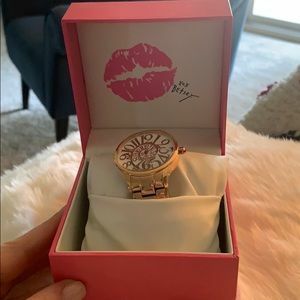 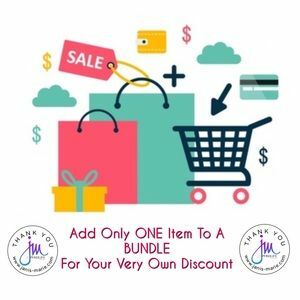 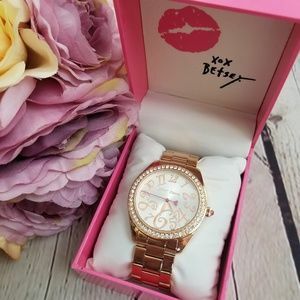 Betsey Johnson Falling for Mesh Rose Gold Watch!